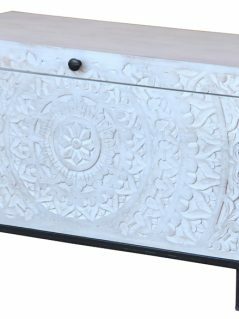 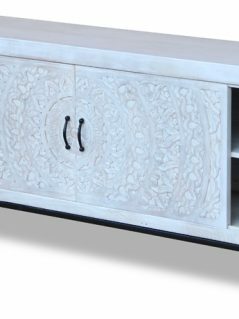 Intricately and meticulously hand-carved from solid sustainable tropical hardwood, with a subtle white washed finish. 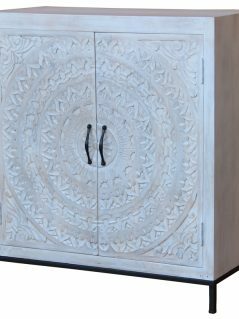 This range is more than just furniture each piece is a work of art and thus can comfortably stand alone as a feature piece of furniture that will add an elegant touch to any room. 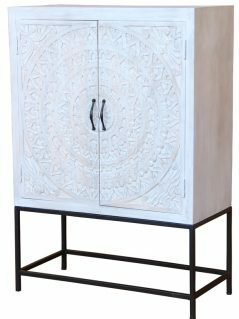 Each piece has ample storage space for all you nik naks.